The Val de marne (department 94), is situated south-east of Paris within the "petite couronne", offering all the necessities for living well..
Its proximity to Paris' airports (Roissy - Charles de Gaulle, Orly and the Bourget), its enhanced transport system, educational institutions and universities, green spaces, the rivers Seine, Marne and the woods of Vincennes and its fundamentally dynamic economy have generated an area in which its inhabitants live a provincial life seeking the calm of the countryside while still close to the capital.. The Val-de-Marne (94) is a sought-after community for families. To get started with your appartment hunt, we invite you to contact the buyer agency COTE ACHETEUR Val de Marne for evaluation of your needs. Armed with knowledge of the department and the real estate market, your buyer agent will provide choices that correspond with your demands and are in keeping with the local characteristics. The Val-de-Marne is an interlocking point where the "petit couronne" and the "grand couronne" meet. Val-de-Marne has been urbanised but has conserved 30% of the land as untouched natural space. This department is a contrasting area with a diversified landscape of multiple attractive features. 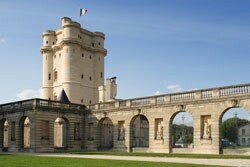 There are 2,550 hectares of forest and numerous parks and gardens on the banks of both the Seine and the Marne. It is famous for its pathways. Their guinguettes in Joinville-le-Pont, Bry-sur-Marne, Nogent-sur-Marne and their islets create a remarkable site known for quite some time by tourists who are looking for a change of scenery. The woods of Vincennes offer a number of possibilities for physical and recreational activities, including visits to the Vincennes Zoo. Lake Creteil measures 40 hectares and is perfect for sailing. The Marne is equally known for kayaking and rowing. The Val-de-Marne is a land of castles housing both thechâteau of Vincennes and the château of Grosbois. The department also shelters little gems such as the very first rose garden in the world : the Roseraie du Val-de-Marne and the Pavillon Baltard à Nogent-sur-Marne. Resolutely focused on modernity, the Musée d'art contemporain du Val-de-Marne and the "Mac/Val" situated in the centre of Vitry-sur-Seine offer a space dedicated to art. The department has a reliable and comprehensive transportation network including various modes of transport via air, rail, motorway and water. The Paris-Orly international Airport is the second leading airport in France. As for public transport, the Val-de-Marne is served by the following Parisian metros: lines 1, 7, and 8 and regional RER trains A, B, C, D and E. In addition, there are the Orly bus, Orly val, as well as Trans Val de Marne (TVM) including a number of the Noctilien bus lines. The network of motorways that cover the area include the A4 serving the northeast section of the Val de Marne, the A6 (A6a and A6b) with a north-south axis and the A86 with its east-west transversal axis. The landscape and architectural heritage are varied; its neighbourhoods of pavilion homes and its period Art nouveau style villas dating from the beginning of the 20th century. There are also quite a few pavillons en meulière (Buhrstone Houses), a typical construction of Parisian suburbs as well as the Mansartstyle homes. The Val-de-Marne is the second best equipped department in France for health services, with 16 hospitals, 35 clinics, and 13 maternity centres. The availability of services is widely varied. for example there are 11,000 places for infants in 225 day nurseries. Of all the departments in France, Val-de-Marne is the first in infant care. The Val de marne (94) is a crossroads of communication and one of the most innovative employment centres within the immediate proximity of Paris. This makes it one of the most desirable locations in the Paris metropolitan area. - Agribusiness - The open air market at Rungis is the largest fresh produce market in the world. The Orly hub is the second largest area for employment in the Ile de France with 60,000 jobs. - Snapshot - There is a wide variety of employment opportunities with 1,000 businesses and 60,000 jobs. On metro line 1, are amongst the most prized cities in the department. Bordering the bois de Vincennes, their excellent schools and local services attract families looking to escape the city just at the capital's doorstep. is a residential area of standing located just on the edge of the Bois de Viscennes with beautiful homes and stable housing prices. In the town centre, built between 1880-1900, there are a variety of housing options as well as 'Hausseman' style buildings. is the third largest village in the department. It is populated with young families and attracts lots of first time buyers with reasonable prices, two direct commuter trains to Paris (RERs A & E), and cultural and sport centres. It is a city of great diversity. is a peninsula of eight villages, including Varenne-Saint-Hilaire and Le Parc, where there are beautiful properties. It has four commuter train stations (RER A) and direct access to the motorway A4. Saint-Maur offers many facets. The quality of its high schools and sporting facilities attract many families. Prices vary from one village to the next (La Pie and Adamville are the most affordable). This family oriented suburban community has a provincial atmosphere. Its inhabitants, from the east side of Paris, want to be close to the capital. Nogent has several assets including two commuter train lines (RERs A & E) the bois de Vincennes, the Marne River, and excellent schools. where, by limiting building height to four storeys, the town hall succeeded in maintaining its village feel. Very suburban, Le Perreux attracts families who appreciate its tranquillity and the quality of its schools. Prices are a bit higher than in Nogent-sur-Marne. has a rich palette of socio-cultural and sporting activities for its youth. If the 1960s left their mark, there are also posh residential areas and suburban neighbourhoods. There are three metro stations on line 8 and a fourth planned for 2010-2011. Commuter train RER D will begin service to the city in 2010.
is booming and the town's policies focus on the young. With two metro lines and RERs A & E, getting to the bois de Vincennes is easy. The Val-de-Fontenay (a more up to date and affordable area), is experiencing urban renewal. It is one of the major economic poles to the East of Paris that will employ 30,000 by the year 2011. Fontenay-village, and Fontenay-Bois are more residential and are sought after by a wealthier clientele. once an industrial area, is a community that is part of the 'couronne' with two stations on metro line 7 and RER C, and just a few steps away from the Grande Bibliothèque. The image of this industrial town is transformed by small touches: its parks, lofts and new construction on the banks of the Seine are appealing to a young clientele. with its style of life attracts a young and family orientated population due to its proximity to Paris, and its public transport (three metro stations on line 8, two stations on RER D and the river line Voguéo). Conscious of its changing demographic, the town hall has created public facilities for every generation, developed local services and enhanced the banks of the Marne to better the quality of life. The town centre was constructed between 1900 and 1930 and has maintained a certain cachet. The department consists of 47 communities including Ablon, Alfortville, Arcueil, Boissy-Saint-Léger, Bonneuil-sur-Marne, Bry-sur-Marne, Cachan, Chennevières-sur-Marne, Chevilly-Larue, Choisy-le-Roi, Fresnes, Gentilly, L'Haÿ-les-Roses, Joinville-le-Pont, Le Kremlin-Bicêtre, Limeil-Brévannes, Mandres-les-Roses, Marolles-en-Brie, Noiseau, Orly, Ormesson-sur-Marne, Périgny, Le Plessis-Trévise, La Queue-en-Brie, Rungis, Saint-Maurice, Santeny, Sucy-en-Brie, Thiais, Valenton, Villecresnes, Villejuif, Villeneuve-le-Roi, Villeneuve-Saint-Georges et Villiers-sur-Marne.